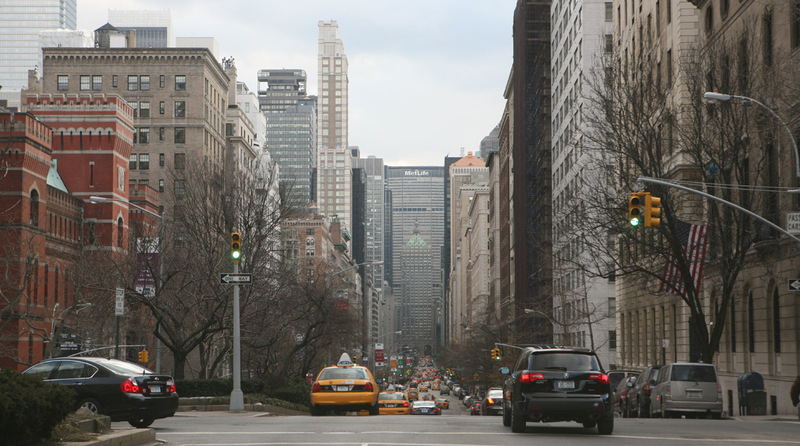 On Saturday, February 12, I reentered the Manhattan Island after 456 days on the road. My trip took me through 37,000 miles of adventures I would never forget. 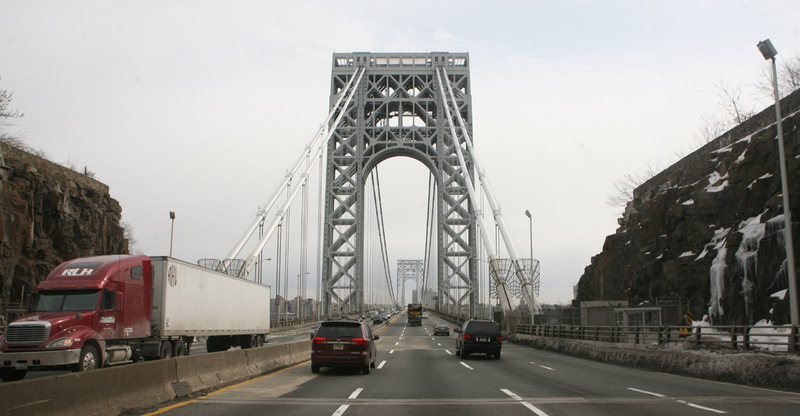 But in the immediate, as I was driving through the Georges Washington Bridge, I could not completely unwind, since there was pressing matters to take care of. As I entered New York State, I could not really just drive around. 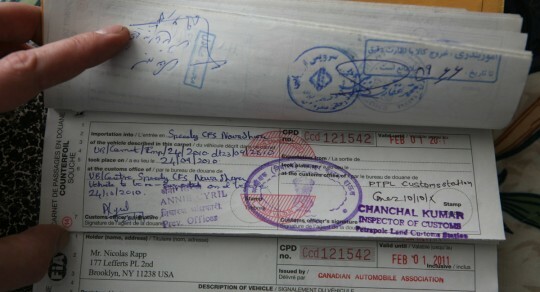 In fact, I had to be very discreet, as my registration and inspection had expired months ago. 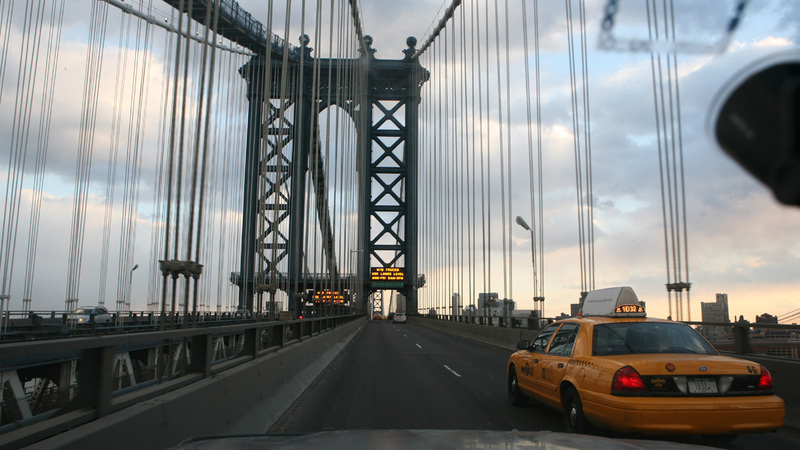 So it is with very little fuss that I crossed the city, dropped my dad in a hotel and continued toward Brooklyn after stopping twice on the way to see some friends. 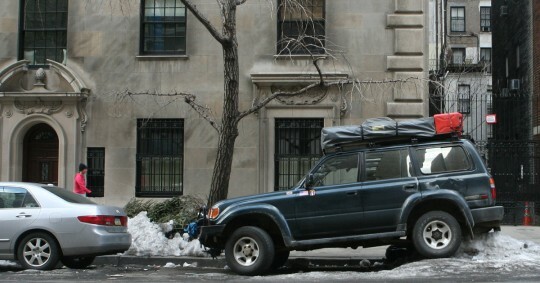 Parking in New York can be challenging, even for a world class traveler. When I got to my old neighborhood, I stopped to the auto shop I used to spend time at, and also the place where I got my vehicle ready for this extraordinary trip. Everybody was doing well, and it was great to see a lot of old friends. I arrive in Brooklyn, at the auto shop. Singh, Mike and others. Next, I went back to my old house, and met with my landlord, Jay. He was aware I was coming back, and had space in the driveway for my truck. It is where it is going to stay for few weeks, the time for me to settle down and get the paperwork sorted out. Reentering Brooklyn by the Manhattan Bridge. All my belongings are there as well, in the basement since 2009. I don’t really want to open boxes as long as I don’t have an apartment, so even now, two weeks after coming back, I am still wearing my expedition-style clothes as I roam the streets of Manhattan. I did shave my beard as people were looking at me a strange way, I thought. Jay gave me some mail which arrived a while back, and it turned out that I was in a more complicated position that I thought. It feels good to be back in New York which is the place I still call home. As night was falling, I took the subway back to Manhattan where I met a small group of people to have drinks in the Lower East Side and celebrate the successful expedition. In the few weeks following these events, I have been of course readapting to the life in the city, but also working hard to prepare my future. I am staying at Sergio’s apartment for few weeks, and from there I am straightening my administrative status, and trying to find a job. I think I may be too exigent in my job search as of now. After everything I saw in the last months, I need something that will be very challenging and exciting. I can’t work just for the money, I need more. As promised, I will let you know when something comes up. I sent my Carnet de Passage back to AAA, which will allow me to get back the huge guaranty I had to leave in order to be able to cross borders. I have been reconnecting with my past in the last two weeks, spending time with people who matter to me. Of course it is strange to be back here, but I can already tell that I am still in love with New York, which is a relief. After all, I need a place I can call home. I will be busy in the next few weeks, and months. First of all, I have to find this miracle job. Then, I will update this website so it is easier to navigate through the different places I have been to, now that the chronological order matters less. Dan – the friend who spent some time with me in Peru – gave me a hard drive with the video he shot while we were traveling, and I would love to make it available on this website as well. In the upcoming time, there will be more maps and details on such expedition preparation, so it will be helpful for travelers. Also, I would love to work on a book. But it is going to be a side project, something I can work on once I have a job. So please keep checking here for new content. There will be other updates, and I would love if you guys could stick around. My apologies for not updating the website earlier. Apologies also to the hundreds of people who emailed me but still didn’t receive a reply. I will be working on it soon! I want to thank you for letting me live vicariously through your trip. I would never have dreamed of trying to do something like that. However, I would like to know how you managed to get around the world on an expired drivers license when I can not even make a trip from Rockland Cty NY to Plattsburgh NY without getting a “no seat belt” ticket. Congratulations on completing the trip. Congrats on the great journey! I have been going through withdrawals without your updates, Nick. Congratulations on reaching your goal. I guess it’s the mother in me that feels a sense of relief that you’re home safe and sound. I will miss living vicariously through you in your travels. Good luck with your job search and finding a place to live. I get to NYC about once a year. I can see why you love it there. I hope you consider two books–one with your story and then a coffee table book with all the pictures. Both would be great. Keep us updated on what you’re doing. No worries about the time between updates Nick. Most of us will be here, waiting for your next blog post. Good luck with the job search. having followed your travels since you began, i’m thrilled for you that you accomplished your goal by making it safely back to NYC! are you planning on doing any press? don’t worry, that job will happen before you know it. Great! And l got the photo l wanted u crossing the bridge. Good to hear that ur adjusting well. I am thrilled you made this awesome journey safely. I made your Trans World Journey my home page so every time I turn on my computer I look for an update. I will definitely stay tuned. Good luck with the job hunt!! Happy to read your new blog! I am sure I can speak for many of us in telling you that we are not going anywhere. I look forward to your next blog. Happy job and apartment hunting. I so loved seeing the photos of NYC – especially the one with your NYC style parking job. I miss that place and happy to read you are still in love with it. I am looking forward to seeing what sort of job you land. Your CV has to be a very unique thing now. I know how you feel about wanting to find something that is exciting and challenging after what you’ve been through (I recently made such a change myself). Hang in there and DON’T settle for anything less than what you want and what you deserve. I laughed so hard when I saw that you had driven around the world on an expired drivers license!! So funny. You definitely should contact the Guiness Book of World Records. That is hilarious. Happpy to hear you are settling in and that the NYC people in your life “kept your seat warm” while you were gone. Thanks for keeping us informed of what is going on with you. You have a plethora of peole pulling for you!! No apologies necessary. It has been great to follow you. I’ll definitely keep checking in to see what the future brings. Thanks again for allowing us to tag along with you. I enjoyed reading about your adventures this past year. Good luck finding a meaningful job in this economy. I will check back often. Glad you’re back in your city. I bet you won’t find any problems with getting a new job and of course something that will be great, possibly using this past year somehow in it. Remember, Rome wasn’t built in a day. Take it slow, one day at a time, as long as your friends keep out the welcome sign for you. Will continue to check up on you !! God bless! Glade your back Nick. My boys were asking me about you this morning we will be here for a long time. I check everyday to see if there any new posts. Good luck on the job hunting you might try National Geographic. Congratulations Nick. Thank you for posting your adventures here and allowing us to be part (in some small way) of your experience. It has been a fantastic journey. Wow. 456 days and now you’re home. Welcome back! It was great fun “traveling” with you around the world and it’s hard to believe I’ve been following you, without missing a post for well over a year. It sure makes the year seem very very short, although to you, probably not so quick. I look forward to more updates and to reading about what the future holds for you. Maybe it wasn’t the beard. Maybe people were giving you funny looks because like me, they were trying to figure out if the guy on the Q train was the trans world expedition guy! Good luck settling back in NY! When Charles Lindbergh set down his monoplane, The Spirit of St. Louis, in Paris in 1927, he instantly became the leading hero of a decade of American heroes and celebrities. Lindbergh had not expected any welcome in France, but word of his arrival spread through Paris, and 25,000 people surrounded the plane even before he stopped taxiing. The frenzy continued when Lindbergh returned to the United States where President Coolidge welcomed him to Washington. He lavished praise on the aviator in a very serious voice, and Lindbergh responded humorously. There was perhaps a serious concern about becoming a prisoner of his sudden fame. In the person of Nicolas Rapp, 80+ years after Lucky Lindy, we have an individual who has shown the world by his deeds and accomplishments that he is intelligent, industrious, energetic, dependable, purposeful, alert, quick of reaction, serious, deliberate, stable, efficient, kind, modest, congenial, and a man of good moral habits. He’s able to put a plan together, stick with it and, despite insurmountable odds… succeed! And his response…”I hope I can get a job!” Nick my man… you don’t need a job… you need an agent! Nick… love that picture of your truck parked on top of that pile of snow/ice! I also can’t help but laugh at the fact that everything related to driving has expired/suspended… you’ve been driving illegally for months! Amazing! Take care and good luck getting your new job! Thanks for reminding me too that I need to get my life going too! Perhaps we’ll meet some day…. Thanks for the update. Glad you are safe and that you are doing ok. There are sooo many bored millionaires out there who are looking for an adventure with an experienced guide: 250K per person for a trip around the world; or 10K per week for shorter trips. You could build a unique travel agency for a niche market. You did it, congratulations my friend. Thanks for the final post Nick. Your adventure has been interesting though in some ways your new adventure–finding an interesting new job that suits you and that has meaning to your life–would be even more interesting to follow. Just as many hurdles face you, I’ll bet! Anyway I hope you don’t have to sell out and settle for an ordinary job; you are better than that. Congratulations on a safe return! I’ve followed the journey since the beginning and appreciated your candid views of your travels. Good luck in finding a new job – find your passion, and the money will follow!! Just read about your journey in the Columbus, Oh Sunday paper. You can add the title “Explorer” to your resume. As I read over the comments, I am thinking that you should use your young mind to come up with a unique idea, something that incorporates this whole experience and make it work for you. There is so much potential! I like the idea of an agent that can guide you. Glad you are “home” and getting reacclimated to everyday life. I wish you nothing but the best and will continue to check in. Nick, So glad to see your post, I love what harvey said in his post. Looking forward to see what happens next!! Of course we will stick around for updates! I have to agree with the others as per your job needs. Maybe you need to take time and decide exactly what it is you want to do. Just how many people have driven around the world anyway?! Your experiences are unique and can be utilized in many different ways. Book, travel specialist, speaking engagements, writer for magazines, embassies and so on. Look at the broader scope and don’t count anything out! This is right up National Geographics lane. Where are they? Congratulations on the end of your successful journey. I have followed from the beginning, but never posted before. We should all be so adventurous and step out of our boxes once in a while. I can imagine that your search for an exciting new job will be the next big challenge. I had to laugh when you related the information about your expired driver license. You did it!!! It is good to see that you are acclamating well to being home. I can only imagine how you must feel of such a great accomplishment. One that many of us only dream of. You, my friend are an intelligent person and will get any job that you want. As one person suggested, take your time and figure out what you want. It has been great following your adventures (funny, scary, and breath taking), and also reading the other bloggers comments through the duration of your travels. I am sure that others feel as I do, in the fact that we not only got to know you, but we got to know some of the other bloggers aswell. I cant say thank you enough Nick. You are amazing for what you have accomplished and may God be with you. Your blog was exciting and always enticed us to read daily for over a year. I will miss your regular travel updates, stories and pictures. But, I am glad you are home safe and good luck with writing your book. Nick thanks so much for the thrill of reading your blog. I agree with others who have commented here that this is just the beginning of the adventure. Take it to the next level. Well done, Nic! I always knew you could do it. Good luck with the job search! I am in the same boat as I have resigned from my job here in Djibouti and am going to try and find a job in the Raleigh, NC area. 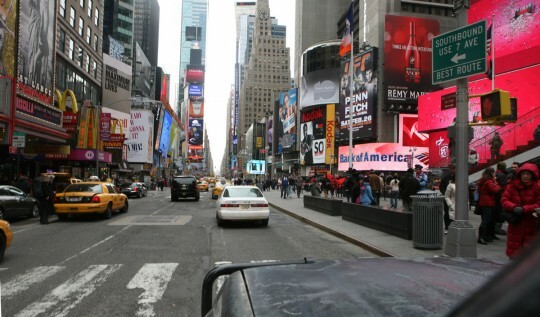 I will be back next week and will be doing some interviews but if we’re both not busy, maybe I can make it up to NYC! I wouldn’t mind seeing it there this time of year and to shake hands with the newest man who drove around the world. congratulations nick! it has being an incredible journey and i enjoyed “traveling” with you if only in website form! of course we’ll stick around as I am sure there are a ton of stories that will come up with time. take care and hopefully see you soon on the road! Thanks for the update Nick. I know you have a lot on your plate just now but I was wondering if you’ve decided what’s going to become of your old faithful companion the land cruiser? Glad to hear you’re considering a book as we just can’t get enough of the amazing adventures of Nicolas Rapp! Best of luck on the job search and as always….travel safe! Thank you for updating us Nick. I had a feeling you would be looking for a new job that challenged you. None of this boring, mundane office cubicle stuff. Good luck with the job hunt. I still think Toyota should be hitting you up for a comercial. Bonjour à toi et bonne rentrée au bercail… A good job now, just an idea … sure that in France we are looking for a Good Foreign Ministry (secretary of state), after this incredible trip and all meeting people, the crossed countries, may be…. Thanks for the update, Nick. And, congratulations. We can see how you are overwhelmed and we will patiently await your next update. I wish I could help with the job. Have been following your blog since the beginning when I came across it in our daily newspaper and have enjoyed it immensely. Like so many, I checked each day with bated breath to read of your continuing adventures. I am thankful that you arrived safely back in New York in one piece and in good health. I too, wish you best of luck in your job search and look forward to future posts from you at your convenience!. From south Dakota I watched your progress from day 1. What a trip you had! I will be looking forward to reading your book. Let us know when it is published. It has been so long I cannot remember how I first came across your website. Thank you for letting me share the ride. Congratulations, Nicolas! Your blog and your history are a great source of inspiration for my future trips, hope someday I’ll have the courage you had to leave the career aside for some time and make an epic trip. I’m sure you don’t regret it! I know you’ve been back in NYC for a bit now, but congratulations anyway! And thank you so much for updating your blog, for those of us not on twitter or facebook. Yes, National Geographic…I am sure they would have a place for you; absolutely! This trip around the world should open up many employment doors for you – if I had a business with a job opening for you I would hire you in a heartbeat. Never under estimate yourself – never settle for less than you want; ever! Avec une pensée pour toi, je suis tombée sur ce site en pianotant ton nom ! et très agréablement surprise ! Congratulations Nick and welcome back to NYS. Maybe your paypal account can now be changed so people can help contribute towards the upkeep of this site! Maybe even help with the cost of writing “The Book”. Awesome!!! I followed you since the very beginning after reading it on MSNBC and must say I’m impressed. Looks like a blast, for better and worse. Keep up the posts. Thanks for sharing your trip with us Nick. Almost sorry it’s over but so glad you’re home safe especially with what’s going on in the world. Your trip might have been very different if you’d left now. Looking forward to your updates with the site and good luck in the job hunt. Welcome home and congratulations. 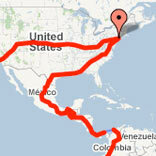 Reading the blog has been fascinating even though I didn’t tune in until somewhere in South America. Great pictures, wonderful geography lesson for us all, and your writing style made it seem like we were all riding “shotgun” with you. Congratulations! I am sure you will find a great job, there are many wonderful ideas posted here by your followers. I had a good laugh about your expired liscense. Welcome back to your “home town”. It was great traveling the world with you through this blog. Thanks for taking us all along. Good luck on the job search and settling back into a routine. Congrats Nick and welcome back. Thanks for sharing the pics and your journey around the world. Looking forward to the book. All the best on the job hunt. Welcome home Nick. You are my hero. 37,000 miles! Wow! What an amazing adventure! Thanks for taking us along through your blog. I will never forget this experience. I found your blog on the Africa Overland site and have been following it as you have traveled around the world. I have not posted before but I have to say thank you for keeping us all updated on your journey. It certainly has provided me with a window or snapshot into another world of adventure and travel, while I have been going about my everyday life over the past year. Im sure that settling back into ‘ordinary’ life will not be easy and I hope that you wont leave it too long before you set off again on another adventure! If you happen to end up in Ireland, let me know if I can help! Have you read all of Nick’s travels? If you have, it seems that should be enough, if it inspired you in any way. I haven’t had a write an essay for quite a while, so really don’t know what else you would need from Nick. Did he inspire you???? Go from there. Also read on this site “About Nick”. If you haven’t read all of the blog or his entries, you should! Thanks! I’m a lawyer by trade and people generally pay me for that advice. For Nick it’s FREE! Thanks for the update! It is time to relax a bit and gently get back to this reality! Take care! I am glad to read you are back Nick. It was fun reading about your adventure. That invite to Brooklyn Brewery is still standing amigo. I hope you are having a wonderful time catching up with friends and readjusting to being home. As much as I love traveling, the feeling you get when you come home is a different kind of exhilaration–I do love that feeling of comfort, warmth, and familiarity. I look forward to hearing about the new (fabulous) job I know you will get and also on your side project. Oh yeah, I am so glad you didn’t get busted with your suspended license during your trip!!! I have been reading your adventures since the beginning. What a fantastic journey you have been on; and thank you for sharing it with us all. Welcome home! Congrats about your fantastic journey around the world! I believe you came back seeing things differently! This is a fantastic feeling. Everybody will be waiting for a book soon,ok! Welcome Back Mr. Nicholas! You are a wealthier and far richer man from the experience than you will ever know. Choosing to share your trip with us, is a gift that can never be measured, repaid, or put into words. Thank you for your journey! and again, Welcome Home to wherever you choose to be. Have you given and thought to Harvey’s idea about The William Morris Agency? Why not mate, you are going to be in the neighborhood, what do you have to lose. I hate my auto correct thing on my comoputer. Ha! Wow how cool good job. LOL LOL LOL LOL ………………….. That must have been really hard 2 do great job. heheheheheheheheheyheheheheh!!!!!!!!!!!!!!!!!!!!!!!!!!!!!!!!!!!!!!!!!!!!!!!!! I bet that ur happy 2 B home. Welcme back!! It was an amazing journey that we were glad to have shared with you and give you a little help along the way. I agree with Harvey. I think you need to get an agent and tell the world your story. With all the crap reality TV on now you would be the real thing. Good Luck and keep us informed about your next move. Congratulations on your trip! I have been watching you the whole time and have seen some amazing places through your eyes I would have never seen before. My 7th grade Global Cultures classes have been following your trip since you started a year ago! We have been fascinated by your blog posts and photos, and are glad you are home safely. The students decided that a book is definitely in order…maybe even a movie! I thought you might be interested to see their most recent comments about your return home. So as not to fill up your blog, I had them comment on our class blog (http://gcphoenixms.blogspot.com/). I invite you to visit and see what they wrote! (They are under the “He’s Ba-a-a-ck!” entry). Best wishes to you, and if you ever come to Columbus, Ohio, please let us know…we’d love to talk with you! Je vs suis depuis le debut! j’ai adore l’expedition , en particulier, l’Afrique. Thanks for letting us travel with you and have our “armchair adventure.” I even made it a Fun Friday post for my schools’ blog. Congrats Nick, what an amazing adventure. Thanks for allowing us to tag along for the ride! Can you please assist me or at least point me in the right direction? I am now suffering from a severe case of TWEWS (pronounced TWOOSE). If you don’t know it by its acronym, you might recognize it as Trans World Expedition Withdrawal Syndrome. I’ve got the classic standard symptoms for the disease. I regularly click on your web site and find few if any “New” reports regarding your trip around the world… followed by an acute shortage of comments from your adoring public. This is immediately followed by separation anxiety, loneliness and near depression. Rumor has it that thousand are suffering the same malady with no antidote in sight. HE’S BAAAACK!!!!!!! (AND HE MADE IT!!!!!!!!!!) Wonder if he saw any animals? I too am suffering from TWEWS! However, I strive to be a patient person. I look forward to the changes on the blog, which keeps me tapping in. Suggestions? I have none Harvey, but I will continue to tap in and see if any one else does. Nick, I hope you are well and having a beer to celebrate Saint Patricks day! I am curious… someone recently told me that cigarettes in New York cost 13.25 a pack, is this true?